Buying a used mountain bike is more difficult than buying a new one because there are some extra steps that you need to take in order to get the right bike as well as not get cheated. 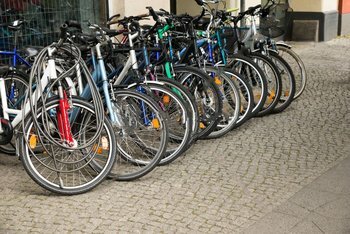 You need to take these extra steps and avoid certain mistakes to succeed in buying a second hand bike. Step 1. What kind of bike do you want. You need to do some thinking and research first and decide what kind of 2nd hand mountain bike you want. What kind of riding will you be doing, downhill, cross country, enduro, trail riding, or dirt jumping. Maybe you want a fat bike. Next you should think about what brand of bike do you want for mountain biking. Some good ones are Evil, Yeti, Trek, Santa Cruz, Giant, Cannondale, Specialize, GT, and Kona. How much do you want to spend on a used bike. This is the main reason why you are buying one, so you can save money. Knowing this amount will help you to narrow down your choices. What kind of frame do you want, carbon, aluminum, or steel. Do you want rim brakes, or disc brakes. What bike frame size is right for you. So you need to know your height and match that up using a chart to know which size frame is right for you. What wheel size do you want, 24 inches, 26, 27.5, or 29ers. Do you want full suspension, a hybrid, which is only front suspension or a hardtail which is no suspension. How old of a bike do you want, less than 3 years old. You may not want too old of a bike because it may not be so easy to find components for it. Step 2. Where to search for a used bike. A good place to start is your local bike shop. Believe it or not they do carry used bikes. The advantage of this is you may know him or her at the shop. Trust is very important when buying something that is used. They may even offer a warranty or guarantee. Plus they have also checked out the bike very carefully before offering it for sale. You may want to check out your local newspaper or pennysaver. This is a good idea because they have to pay a fee in order to list their bike. This shows that they are serious about selling their bike and are more trustworthy. Someone trying to sell you a bad bike will not want to spend money listing their bike. They will just throw it up online for free. You can look online for used mountain bicycles on sites like pinkbike, facebook, ebay, and craigslist. You can go into bike forums and make a post that you are looking for a used bike. When looking at bike ads online make sure the picture of the bike is very clear and there are images of the bike from a few different angles. Check that the seller has a positive seller history. If the seller is new see that they have good images. Check their facebook profile and see how many friends they have and if they comment on various topics. Read some comments to see that they are a real person and to get a sense of their character. You should also ask the owner, how worn is the chain, because this will give you a good indication as to the condition of the entire drivetrain. Ask the owner about the bike’s geometry so you can get an idea early on if the bike is a good fit for you. It is a specific question which the owner should be able to answer. Don’t ask the owner if the frame size is right for you. That question is too general and the owner will probably just say, yes. If they can’t give you clear answers to these questions then beware and probably move on to another seller. If there is no phone number, then contact them and send them a list of questions. Step 3. How to get a good deal. Choose a few mountain bicycles that you like and fall within your price range. Then go to bicyclebluebook.com and find out what the original price is for a new bike. So if the bike you are interested in is $2000 new and you see a listing for the same bike used for $1000, then you are getting a 50% discount. Do this process a few times for the same bike so you can see who is offering the best deal. You can also do this for different bikes and see who offers the greatest discount compared with the original price when it is new. This is just a preliminary way to find a good deal. You will need to thoroughly inspect any bike you are interested in, in person. Then you can bargain for the final price. Step 4. Inspect, inspect, inspect the bike. Once you have found 2 or 3 bikes you like. Then you need to go and visit the owner in person at their home. Don’t visit them at a mountain bike trail park. If you end up buying the bike you don’t want them disappearing on you. The very first thing to inspect is if the bike has been stolen. There is a registration number underneath the bottom bracket. Then go to a bike registry website and enter the number to see if the bike has been registered. The owner should be able to tell you where he registered the bike. A good place to begin would be to check the frame because this is the most expensive part of the mountain bike. If this has a lot of damage then it is not even worth continuing to check out the bike. This will save you time if you are interested in a few used bikes. Look for any damage all around the frame. Check the frame front to back, if you see any cracks then that is a sure sign that you will not buy it and you can move on to the next bike. If there are no cracks then you can keep checking. Look at the bottom bracket, it is a common place to find stone chips and scratches. Check if the bike has a foam protector on the bottom bracket which helps to stop damage to the bike. Take off the foam protector and check the bottom bracket, perhaps the owner might be hiding some damage. Small rocks can easily fly up and hit the bottom bracket. If the bike you like has an aluminum or steel frame then check in all the welds. You should especially check the weld underneath the head tube because bikes can break there. If you see any cracks in the welds then definitely do not buy it. Check all over the bike and take a close look at the paint work and the paint finish. See if there are any bad scratches or if they are minor. A common place that gets damaged is on the chainstay where the chain gets flapped around. Inspect that there is no serious damage in those areas. If the owner took good care of their bike then there is probably some sort of protection on the chainstay. If that is the case then there should be no damage, ask the owner to take off the protection so you can take a look. If the 2nd hand bike you are interested in has suspension, then begin by checking the fork. Be sure to check the entire fork, the lows, stanchions, and the fork seals. The lows do usually get scratched up, but the stanchions are probably the most important to check. Some forks have expensive coatings on them for protection. Check all they way around for any marks. Look for scratches or dents on the fork. If the seals have not been kept clean then the coating could have become worn off. Coatings could be expensive to repair so keep that in mind. Look at the shocks, inspect that there are no marks, see that they are nice and clean. Push on the fork and on the shock. Check that there is no movement in between there. Squeeze the front brake and push down on the fork and notice how it feels, it should be feel smooth without any roughness. Also push down on the front wheel and then pick up the front wheel, and make sure there is no damage inside the forks. It should not top out. Squeeze the front brake again, rock the bike back and forth. Notice if there is any movement in there. Check and feel if the head set is loose at all. Also check the bushes and the fork by placing your hand at that location as you move the bike back and forth. If there is any kind of movement or a feeling of looseness in there such as a flopping around feeling. Then having to get that repaired could be a little expensive. Make sure the shocks of the bike are working properly by pushing down with both hands on the saddle. Plus lift up the back tire and check that the bushes are not damaged or worn out. If they are damaged then it is not too expensive to fix. But if the bearings on the suspension need to be repaired then that would be more expensive to take care off. Feel all around the bearings to check them. Plus you should flex the rear wheel and take a look down toward the back of the bike and see if there is any loose movement. Everything should be connected securely, if not then you can factor that into reducing the price. Inspect the wheels, check the bearings by rocking a wheel back and forth, make sure everything is secure. Then lift up the rear tire and give it a slight spin. Put your finger next to the inner part of the tire and check for any wobbling side to side as well as up and down that could be found on the rim. If there is wobbling of the tire as it is spinning and it is more than 3 to 5 millimeters of wobble then that will be more difficult to fix. Also check if there are any dings or dents on the rim as you spin the tires. Check the brake rotors by spinning the wheels again, be sure they are operating nice and straight, and that they are going through the calipers. Be careful of your fingers as you are doing this. Pull on the brakes which are most likely going to be disc brakes. The lever action should feel light and consistent. It should be a smooth gradual stop, there should not be a jolting action. Ask the owner when was the last time he bled the brakes. If the owner bleeds the brakes on a regular basis then you know he took care of his bike. If he bled the bike himself then you know he is proficient at maintaining his bike. These are all good signs. Check the entire drivetrain especially the chain. If there is wear and tear on the chain then the chain, cassette, and chainring might all need to be replaced. This replacement could be expensive, so keep this in mind if it is needed. To check the chain it is a good idea to use a chain wear indicator. This indicator will measure the length of your chain. 24 rivets should measure 12 inches, if the measurement is longer by 1/16 of an inch, then your chain is stretched and should be replaced. If you do not have this tool then you can use a ruler and your eyes. Check the measurement and also check the chainring. Make sure they are not bent over at all or that they look like shark fins. Plus put the chain through your hands a little, hold the chain with your fingers and slightly twist the chain to the right and the left. If the chain feels floppy and loose then it is probably worn out and it could be time to get a new chain and drivetrain. Check into the gearing on the second hand bike you are looking at. Most bikes have a 34 tooth chainring, this is average. Some go down to 30 which will not give you a lot of high gears. Just be sure you are aware of this so you know what is best for you before you buy it. Some other things to check which might be worn out and that you should know about are, the grips, tires, and the gear cables. Definitely inspect them but it is not really that big of a deal because those things will need to be replaced anyway at some point. Grips and gear cables are not too costly but tires can be pricey. So if the tires are worn, then you can factor that into the price and get a better bargain. Take a look at all the bearings on the bike. Go to the headset and turn it left to right and right to left. Notice if there is any grinding or any rough movement going front to back. Now with the wheels, turn the wheels round and round, and see if you notice anything, feeling on the front leg. Are there any impediments to movement. Give the front wheel a wobble from side to side to make sure it is secure, nothing is loose. Spin the pedals quickly. Check if there is any grease which is still in there. The pedals should spin nice and smoothly. Take a look at the cranks and shift them from side to side making sure there is nothing loose. They should feel sturdy. Spin the rear wheel, make sure it moves properly. Then shift the back wheel from side to side feeling that everything is secure and stable. You do not want to feel any looseness. Take a look at the seatpost, this is important, especially if you have a dropper post. Go through the entire movement of the dropper post. Make sure that it is working properly, and see that there is not too much wobbling going on. If there is a common fixed seatpost, then make sure that it has not seized inside the frame of the bike. With metal frames such as aluminum or steel this can happen. Ask the owner to remove the seatpost so you can see how difficult or easy it is to remove. If possible ask the owner if you can ride the used bike. I suggest that you try and see if you can ride it on the trail. Then you can see how it really performs. There are limitations to just looking at the bike. Give the bike some pedal power and change gears. Check that the chain does not slip. See how well the brakes work. Go over a jump or a drop and check how the suspension feels. Check out how it goes downhill and uphill. Test it out as much as you can. Step 5. Know which components need replacing. Once you have gone through the bike inspection process you might find that some components need to be replaced. Overall the frame is the most expensive component to replace. If it needs to be replaced then don’t buy the bike. Wheels and fork are the next most expensive part. 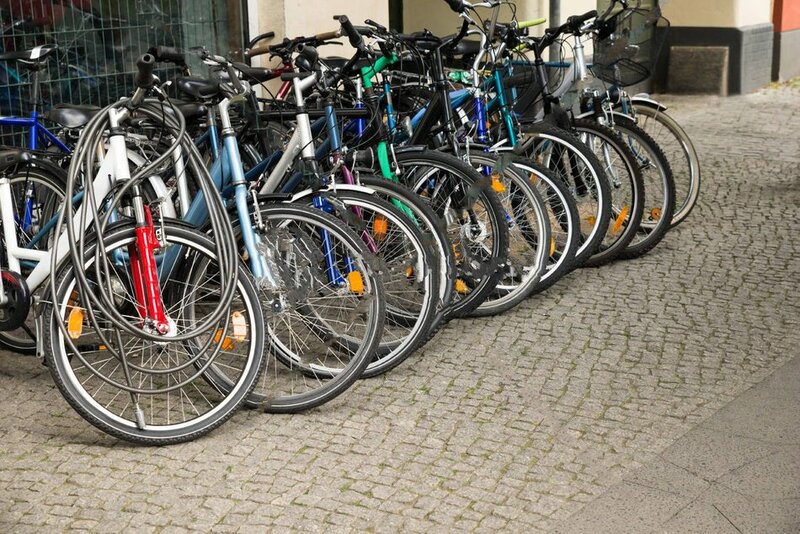 Depending on the type of bike and the kind of riding you will be doing will determine whether you want to replace the tires or find another bike to look at. Same with the fork, if you are getting a downhill mountain bike then you are going to need a good fork. Look for another bike if the fork is not so good. For more of a cross country bike, you can consider replacing the fork. The drivetrain which consists of the chain, cassette, and chainstay can be replaced. It could be expensive depending on the bike and the brand you get. But it could be worth it depending on the overall price of the bike. The other components of the bike such as the brakes, handlebars and stem, the saddle, pedals, grips can be worth replacing. Depending on the brand these components can be more costly, again depending on the overall price of the bike. 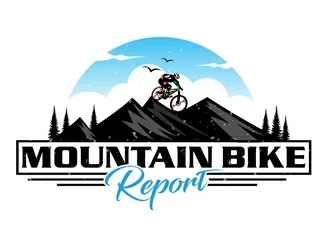 If you only have $500 to spend on a mountain bike and some components need replacing which add up to $500, then you will want to find another used bike for $500 which does not need to have any components replaced. Be patient and be prepared to repeat this process a few times. It will be worth it in terms of getting a good bike at a good price. You may find that you are not satisfied with a few bike after going through a different number of steps for each one. It is also a good idea to complete these steps for a few mountain bicycles before making the final decision to purchase. That way you can keep some notes and compare the results for at least 3 bikes that interest you. A word of warning though is to not take too long when you are inspecting bikes. Try to inspect more than 1 or 2 bikes in one day. Then you can come to a decision faster in case there are a few buyers looking at the same bike as you are. Step 7. Negotiate a price. After you have gone through this entire process and you have all the information you need then you are ready to make a deal. You should start off by offering a lower price than what the seller is offering. His price in the ad is probably already high in order to allow for some flexibility. If the seller does not accept your first offer than support your price offer by pointing out any problems you found with the bike. Show the seller the math, emphasize how much you are going to have to invest in the bike after you purchase it from him. Explain how this justifies a reduced price. You can also get a price reduction on things which do not need to be replaced. These include if the tire is worn a bit, any scratches on the frame and the fork. If the owner wants to keep his saddle because saddles are very personal, he may find his saddle is very comfortable and he wants to keep it. You can also point out a competing offer for a similar used bike that you found. Ask the owner if if he can beat that price or reduce the price down closer to the competing offer. If you are buying a 2nd hand bike from your local bike shop that would be the best situation. The bike shop may have a guarantee and you know where to go if there is a problem. Make sure you get a receipt. If you are purchasing the bike online then try to pay for the bike using paypal. Paypal has a good policy when it comes to protecting the buyer. Paypal tries to make sure that the buyer gets what they paid for as it is described in the sellers ad. So it may be a good idea to take a photo of the ad before you make the purchase. If you are at the owners home after inspecting the bike and you are happy then you can buy it right then and there. Don’t pay for it with cash because once you pay with cash then it is gone and you will probably not get it back if there is a problem. When you get it home. Set it up the way you like it. Give it a good clean and a good lube. Replace anything which needs replacing. Then have and enjoy.